IN THIS centenary year of the Russian Revolution books will be published, op-eds written and programmes broadcast about the dramatic events of 1917 and their impact on the 20th century. In the mainstream media few are likely to look at whether the “10 days that shook the world,” when Lenin led the first successful socialist revolution, have helped shape the planet we live on today, or whether they retain the power to shake the world again in years to come. The revolution will be presented as history — and socialist and communist ideas as done and dusted, dead and buried. How many of us have heard that socialism “doesn’t work,” that it was tried in Russia and it failed? Of course, the revolution is part of history and it did shape the 20th century. The great Marxist historian Eric Hobsbawm even defined his “short 20th century” as 1914-1991, a period almost coterminous with the existence of the Soviet state. The rise of fascism was a ruling-class response to the threat of social revolution and the defeat of the nazis would not have been possible without the heroic sacrifices made by communists — many of them soldiers in the Red Army, which “tore the guts out of the nazi war machine,” to quote Winston Churchill — but also partisans and resistance fighters in every corner of occupied Europe. The contributions of communists were again key, both as fighters in the front line of liberation struggles in China, Vietnam, Cuba, South Africa and many other countries. And the Soviet-led socialist camp was also a supporter of anti-colonial movements the world over, providing everything from diplomatic backing at the UN to cash and arms when needed. Much of this history is hidden. Children in our schools are not taught about the millions of victims of British imperialism during the Bengal famine, the “Malayan emergency” or the suppression of the Mau Mau uprising in Kenya. Communists, liberals charge to this day, were guilty of terrible atrocities in Russia, China and elsewhere and there is no point in seeking to defend the indefensible when revolutionary governments had innocent blood on their hands. But that is not the whole story of revolutions inspired by that of 1917, which also won tremendous achievements in lifting hundreds of millions out of poverty, spreading education and literacy to populations that were previously illiterate and massively extending life expectancy through modern sanitation and free healthcare. Britain’s National Health Service, offering healthcare to all free at the point of use, owes much to the inspiration of free healthcare in the Soviet Union, as does the welfare safety net put in place by the Labour government of 1945-51. Since the triumph of neoliberal ideologies in Britain and the United States in the 1980s, we have seen a mammoth effort to undermine and dismantle our social security system, one which continues in the privatisation of our NHS and the cruel and unusual punishment meted out to disabled people in this country today. The social-democratic compromise of the postwar period was always vulnerable; the interests of working people and the super-rich few who own the banks and the big businesses are simply not compatible. The collapse of socialism in eastern Europe removed the constant leftward pressure that kept social democracy in western Europe alive. We have since seen a ruthless drive to marketise every service and exploit every natural, human and social resource beyond remotely sustainable levels — capitalism, as Karl Marx once put it, weeping from every pore with blood and dirt. 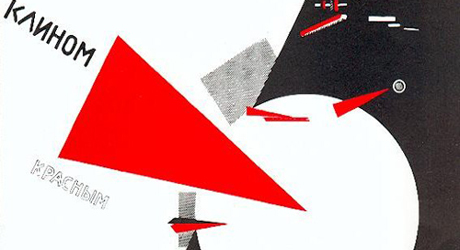 If we don’t like the poverty and war that are synonymous with modern capitalism, we might think again whether the dismissers who say the Russian Revolution “failed” are right. Certainly socialism came to an end in the Soviet countries in 1991 and there was a capitalist restoration. Yet, though the kings returned to Britain and France after their revolutions of the 17th and 18th centuries, the liberating ideas those upheavals unleashed were not defeated but have borne fruit around the world ever since. The overwhelming rejection of a tired, corrupt and out-of-touch Establishment we are seeing now in this country, across Europe and in the United States, suggests that capitalism is not delivering and that it can again be challenged. Revolutions don’t proceed according to instruction manuals and the events of that October night in Russia a hundred years ago are not going to be replicated in London or Washington. But the experiences of the world’s first socialist country are of huge and continuing relevance. The Morning Star is proud to be part of the Russian Revolution Centenary Committee and, over the coming year, we hope to do our bit in discovering what that revolution meant, and still means, for the prospects of a world free of hatred, oppression and exploitation — one in which humans are never objects to be used but people whose amazing potential has the time and space to flourish. Be the first to comment on "The liberating ideals unleashed by the Russian Revolution are well worth revisiting today, says BEN CHACKO"